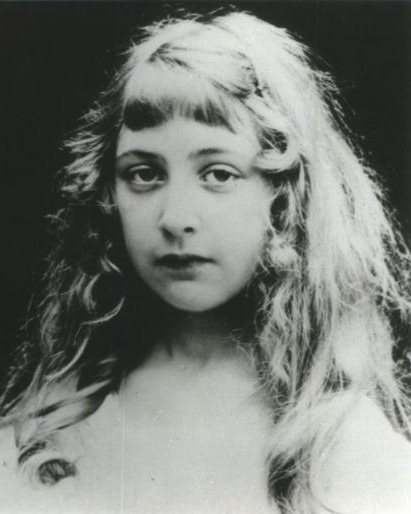 Agatha Christie as a young woman. The latest in my republished series on favourite writers. Something odd is going on. In her home country, the writer who, death, J.K. Rowling and Dan Brown notwithstanding, is still the world’s most popular author, is disregarded by the literary establishment, if not by ordinary readers. 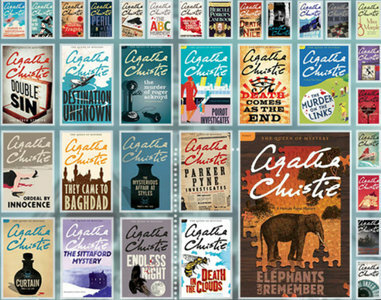 Agatha Christie’s classic status is surely no longer in doubt, with two billion copies of her books still in print thirty years after her death, but in Britain it’s not enough to save her from being patronized – even by her literary-world fans – as a mere creator of ‘cosy’, ingenious puzzles, whose work ‘lacks art’. Sometimes it seems that if you are a self-respecting member of the modern British literary world, you should hide a predilection for Christie, or at the very least, apologize for a taste for ‘slumming it’, not in the mean streets, but in – these days – much more despised bourgeois ‘cosy’. Across the Channel in France, however, it’s quite a different story. There, she is highly respected, not only as a writer of consummately clever detective stories, but as an artist of rare gifts and distinction, worthy of serious study and acclaim. Not only do Christie’s books sell four times as many copies in France as in Britain these days, but her work is championed by intellectuals and writers. Controversial writer Michel Houellebecq – who considers Christie to be one of the finest writers of the 20th century – is only the latest to do that; others have included the late philosopher Roland Barthes and the French-American doyen of literary criticism, Jacques Barzun. Pierre Bayard, a professor of literature at the University of Paris, typifies the French approach to Christie in his 1998 book, Qui a Tue Roger Ackroyd? (published in English in 2001 by Fourth Estate as, naturally, Who Killed Roger Ackroyd?). In a daring jeu d’esprit worthy of Christie herself, Bayard re-examines Christie’s groundbreaking novel, The Murder of Roger Ackroyd, and asks if Poirot could have got it wrong. This is the trigger for an unusual exploration of reading, and a detective story on the art of the Christie detective story itself: a fitting tribute to the intellectual brilliance and pleasurable artifice of a genius of popular art. What can possibly explain this disjunction between French and British reactions to Christie as an artist? First, it is clear that the French, like the Americans, have always taken popular art much more seriously. 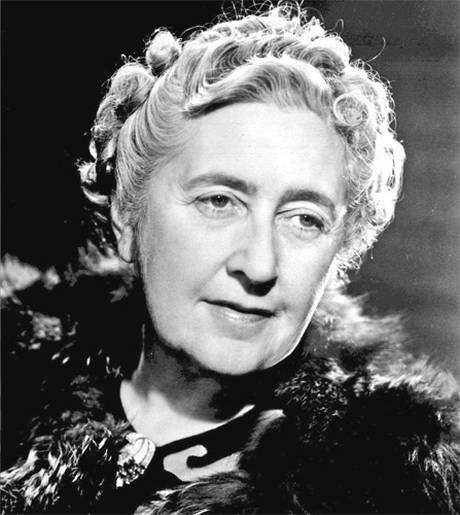 Whether it’s, say, the work of Tintin creator Herge, the films of Alfred Hitchcock, or the books of Agatha Christie, the French have always been well ahead of the critical game. 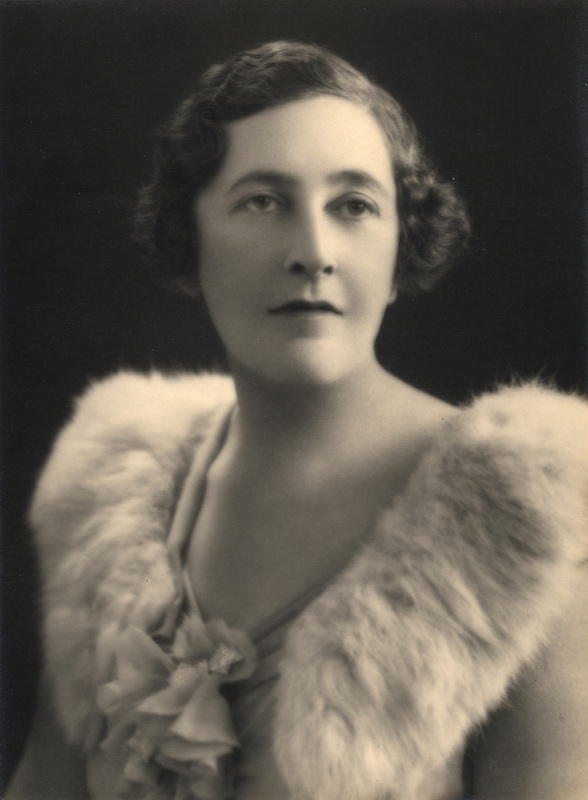 Second, Christie’s distinctive combination of gifts – her light touch, plotting unpredictability, clarity, playful intelligence, sense of the ridiculous, economical but elegant style, the lightning vignettes of social comedy coupled with a paradoxical, underlying macabre sense of dread – appeal particularly to the Cartesian mind. French critics don’t seem to resent the way she springs surprises, as all too many British critics seem to; the French expect the author to be cleverer than her readers, and delight in the intellectual challenge. Third, and perhaps most important in the context of our time, it seems to me that current British critical dismissal is very much a product of a shift in middle-class cultural attitudes. Far from reflecting a cosy, insular Little Englander mentality, as all too many British critics seem to imagine, Christie’s work actually reflects a confident, middle-class cosmopolitan sensibility, more common in Britain before, say, the 1960s, than now. These days, in Britain, cosmopolitanism has long been replaced by earnest multiculturalism, which is not at all the same thing. Multiculturalism in the Anglo-Saxon sense is not popular in France, where it’s perceived as a threat to the one and indivisible French republic. But cosmopolitanism has long been something the French intellectual has prided himself or herself on, since at least the time of Voltaire. And so France has, willy-nilly, retained a kind of sensibility which to modern British eyes may well seem ‘old-fashioned’. In her personal life, Christie was far from being insular – her American father, frequent stays in France, other European countries and the Middle East, and her second marriage to a cosmopolitan intellectual, saw to that. She certainly knew far more about the world than her critics like to admit. Of course, in her fiction she does indeed play with ‘Englishness’ but in rather more surprising ways than English critics generally give her credit for. It’s true that the ‘Englishness’ of her books – the slightly fantastical, stylized, larger-than-life, never-never world she creates – is exotic and charming to foreigners. But in the past, especially pre-1960s, British critics seemed to enter into the fun; they did not seriously entertain the idea that the world Christie created was meant to be social realism. They understood it was an artifice, a kind of modern fairytale setting, but with all mod cons, as it were. But modern British critics, brought up with more literalistic expectations of the realism of detective fiction, wince at what they take to be an ‘old-fashioned’ view of both the English and foreigners and, keen to promote other, more politically correct or expedient views, want to dissociate themselves from it. Moreover, it seems to me that the ‘Englishness’ of Christie is very much overstated by embarrassed English people. The author actually casts a very cool eye indeed on her own culture, and her own people. This is especially so in the Hercule Poirot novels. There is a common view in Britain that Poirot represents a caricatured English view of the French, or at least Francophones, remembering Poirot’s Belgian origins. But in my view, this could easily be turned around: what to an English eye might look like defects may very well, to a French eye, be seen as qualities. In fact, if Poirot is to be seen as a type at all, he could very well represent an archetype beloved of the French themselves. He is worldly, sophisticated, highly intelligent and logical, with a Cartesian clarity of thought. Fastidious and elegant to the point of dandy ridiculousness, but also a bon vivant who greatly appreciates good food, comfortable surroundings and beautiful women, he has a superb Gallic self-confidence, even braggadaccio at times. He also has a touch of melancholy – he is essentially solitary – and a touch of the mysterious, almost otherworldly. Yet he is very much of this world: his name itself holds that paradox, with the mythological Hercule juxtaposed with the solidly bourgeois Poirot. 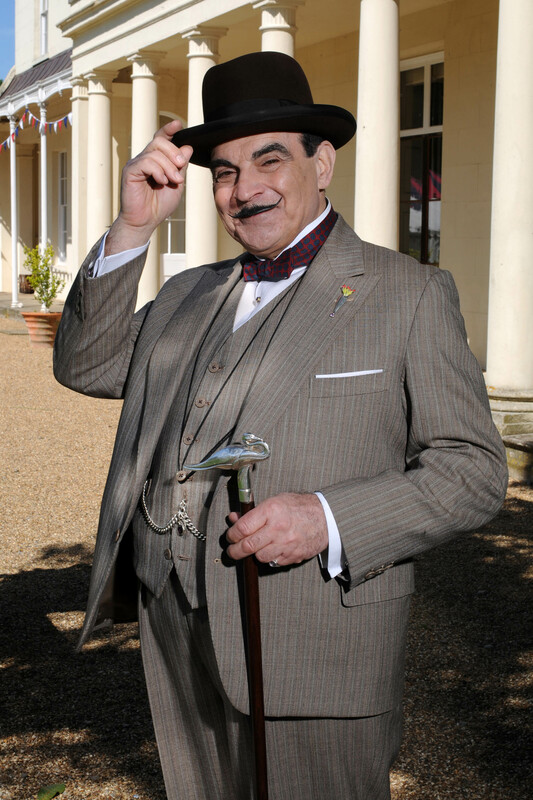 Above all, Poirot is cosmopolitan. He does not try to ‘blend in’ but enjoys his status as a foreigner long resident in England – both outsider and insider. He is often derided as ‘ridiculous’ and ‘a mountebank’ but always puts egg on the faces of the tweedy Little Englanders who do not take him seriously. We see England through his eyes as much as he is seen through English eyes; and it is he who unerringly goes to the heart of the matter, and never his English detractors. How delicious it is for French-speaking readers that it is the ‘little grey cells’ of a Francophone detective that should solve all these knotty cases and totally rout all these English criminals and English bigwigs and policemen! But it’s not just the fun elements of Christie, as relaxing and pleasurable to the mind as a Gershwin song, or a Baroque harmony, which appeal to French readers. In Michel Houellebecq’s novel Platform, the narrator, also called Michel, spends two pages describing the ‘Dickensian sense of wonder’ and the ‘magisterial portrayal of despair’ which Christie evokes. Houellebecq takes seriously her exploration of human character. This goes against the grain of received British wisdom, which consistently mocks her characters as being ‘cardboard’. But French commentators rarely criticize Christie’s characterization, whether because they believe, like Jacques Barzun, that the traditional ‘bourgeois novel of character’, with its emphasis on ‘Protestant’ struggles with conscience and inwardness, is a poor, indeed, dangerous model for detective fiction (which Barzun considers essentially to be an art form of its own, away from the novel), or because, like Houellebecq, they actually think Christie gets her characters right. They like Christie’s understated, minimalist approach to characterization, which gives the reader an airy space in which to construct their own understandings. Coming from a Christie, one can feel suffocated by the sheer humourless mass of psychological and other detail in the work of many of the most admired detective fiction writers these days. It’s not that Christie isn’t interested in character. Character, to her, is everything, in fact – it is what elucidates the mystery of why, as much as who, or how. But her fiction is animated by the deep-seated conviction that ‘all the world’s a stage’ – that people play roles, in life as much as in art. Her characters seem like types because they are playing roles, conventional roles. Murder disrupts not ‘order’, as British critics patronizingly assume, but the roles people play. The detection reveals the evil hidden under the reassuring mask of respectability, the suffering hidden under the careless manner. Like Hitchcock, Christie believes that the Devil is in each of us – and that he may well find the whited sepulchre of hypocrite convention a more congenial abode than most. But also like Hitchcock, she never lectures you about it – she lets you draw your own existential and metaphysical conclusions. It’s a restrained approach that goes down well with French critics, who love the opportunity that’s thus opened, to speculate endlessly on the philosophical meanings and unpredictable possibilities of the Christie canon – right up to asking, like Professeur Bayard, as to whether the author herself was tricked by the real murderer of Roger Ackroyd! ← Great to have been a part of this musical feast!